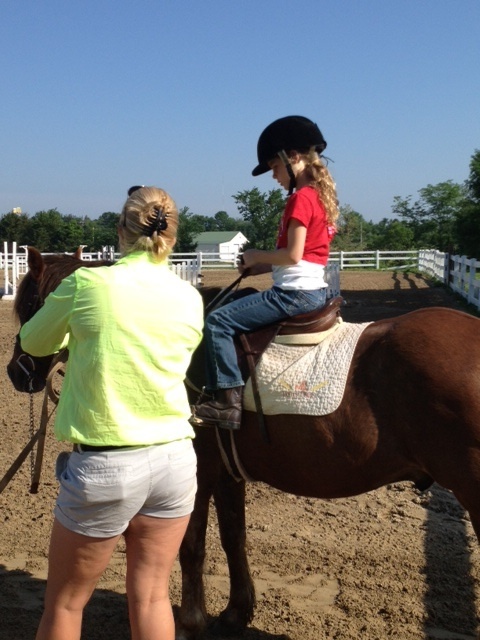 Sweet girl – I cannot even tell you how proud I was while I watched you during your first lesson. You did a wonderful job. You were a natural on Twister. (I will confess that I cried!) I love watching you have fun and try new things. Ellen said you did a great job! I can’t wait to see you try again! I love you. Hey there Kiddo- I’m very happy that you enjoyed your first lesson. It was so much fun to watch you ride “Twister” on your own. I’m looking forward to your next ride. I love you. Delaney, how exciting! 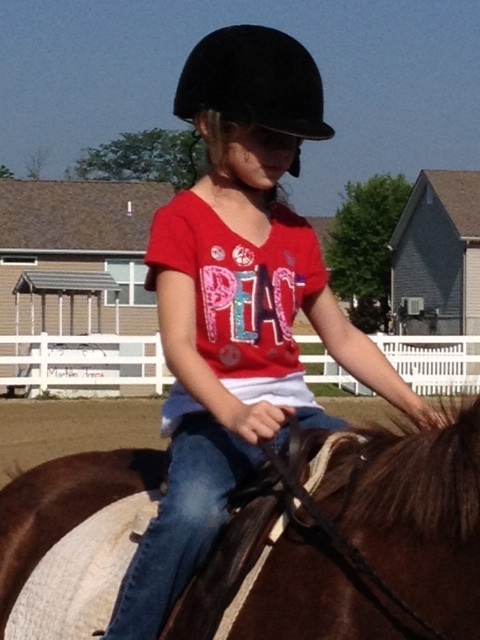 My daughter, Maggie, has been riding for years (we have a horse named Frosty) and she loves it. Two point is hard and takes a lot of strength to stay up for a long time! Good for you for learning that at your first lesson! WOW! Frosty and Maggie can jump 3 foot jumps now! YIKES! Can you imagine? You look great! Better than my first lesson 😛 Great job!